Bathroom design can bring you more ease of functionality as well as being aesthetically pleasing. When considering a bathroom remodeling project it is helpful to know some of the current trends and decide which ones might best serve you. 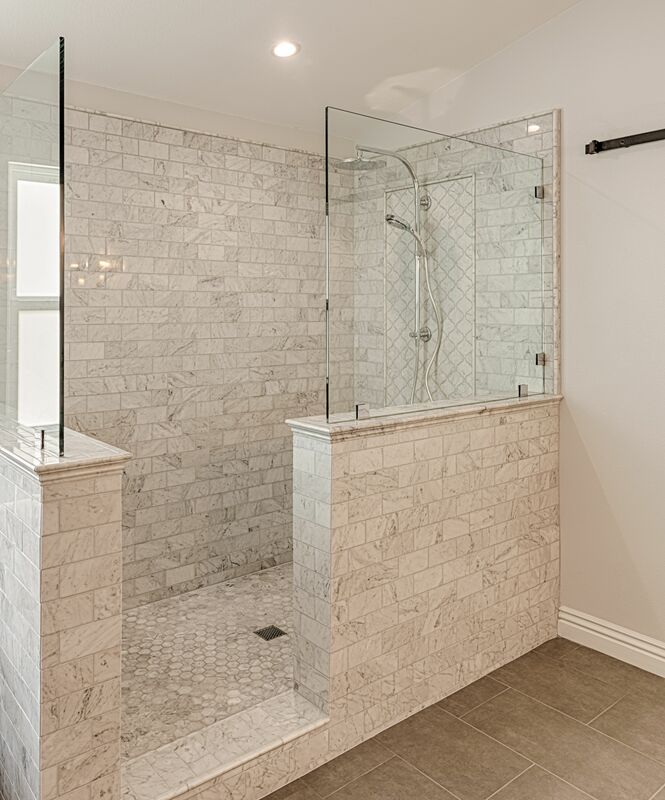 One of the most popular trends is eliminating the bathtub to gain a more spacious shower. Many find that they no longer use their bathtubs and would rather have the ease of accessibility that a larger shower gives. Another trend is taller bathroom vanity cabinets. Replacing your bathroom vanity cabinet with a one with more shelves and drawers provides you with more storage and is much more functional when leaning over your sink. When replacing your cabinet, definitely consider a solid surface countertop such as quartz or granite to go with your new cabinet. Both quartz and granite are extremely durable and are much easier to clean than tile with grout. Marble or marble-like surfaces have been a common theme in bathrooms for generations. Marble is a classic that never goes out of style and can add value to your home. One thing to keep in mind is that natural marble can be a softer surface that is prone to scratches and needs a sealant applied annually. Another way to achieve the look of marble is to go with a quartz product. 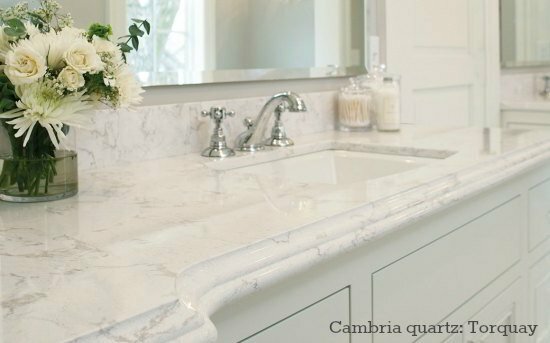 Modern quartz can provide many years of maintenance-free beauty without the drawbacks of natural marble. Finally, new plumbing fixtures will serve you well by not only changing the look of your bathroom but they will also save on water usage and possible leaks from old fixtures. These are just a few tips to help you enjoy your bathroom space on a daily basis.